If orange is the new black. Is there room for techwear to be the new streetwear? Techwear is functional clothing with an asian inspired twist wrapped in a dark palette. 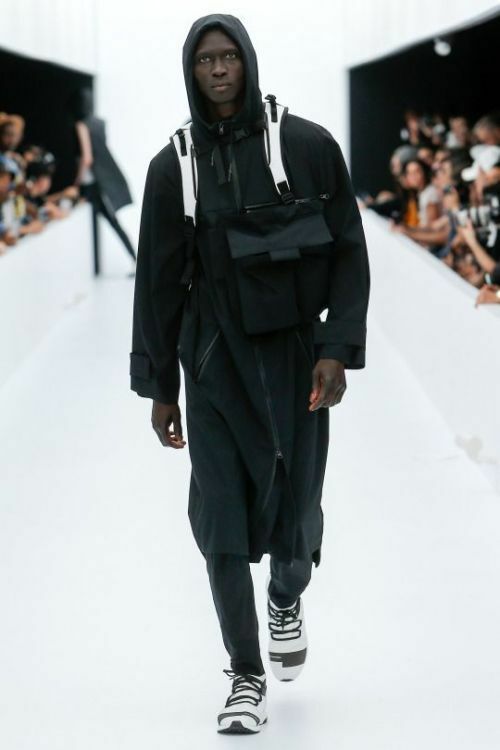 Techwear is broad but can fall into three core definitions but many practitioners use a mixture of the three to create their own personal style. Classic Techwear focuses not on big stylish flare but on functionality and the use of typical items that protect against the elements. It can consist of traditional brands like The North Face, Snow Peak, Cav Empt, and even classic military wear can be used to achieve the classic techwear look. Athletic techwear can be mistaken for athleisure but, little do people know techwear can be worn year round. The breathable and gore-tex infused material allows it to be considered a hybrid in the world of futuristic utility wear. 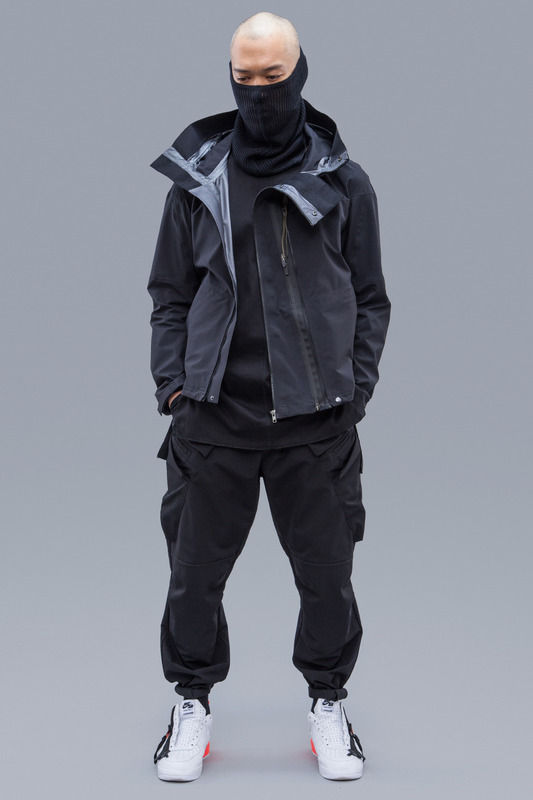 Y3 and Nikelab ACG can be used to get the athletic techwear look. 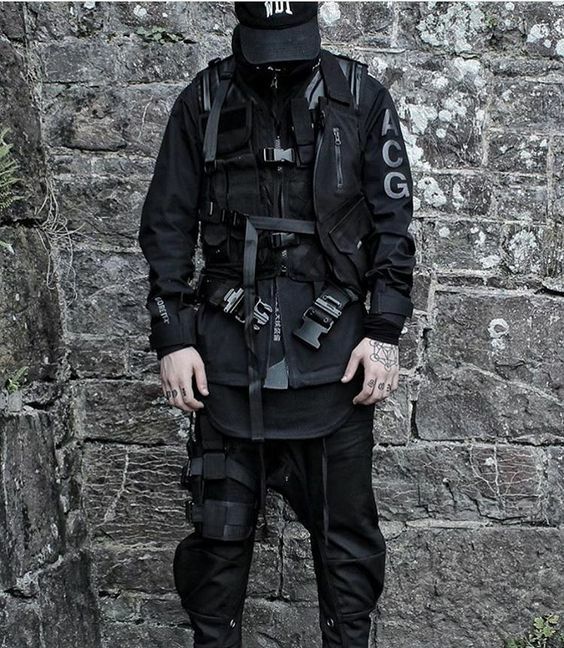 Future Utility incorporates anoraks, pockets, vest, boots, and strapped jackets are the images that techwear aficionados portray. The fabric and techniques are top of the line pieces that fall in this category are dystopian without distressing. Functional without looking like your going to climb Mount Everest. The traditional color palette of the look include greys, whites, khaki ,black, and olive. People who fall under this umbrella keep it simple and usually add hanging straps to create length. The brands that encapsulate the look are Acronym and White mountaineering by Yosuke Aizawa.